Let’s take a look at the astrological months that will occur in February so that we can better understand the prevalent energy in the sky before we dive into the horoscopes. The calendar months have little, if anything, to do with the actual astronomical occurrences that take place. From the perspective of many ancient cultures such as India, Tibet, China, and the Middle East, the month begins on the first lunar day, which is the sunrise after New Moon. From the perspective of astrology, the Moon carries with it for the rest of the month whatever energy it received from the Sun when they were at the same degree (New Moon), and this energy is then reset and exchanged for a new energy the next month when this happens again. These lunar months don’t often coincide with the actual calendar month, so generally each calendar month will have to distinct monthly energies in it. At the beginning of February, the lunar month that is active has a powerful solar energy from the lunar mansion of Purvashaddha, which continues until February 16th when the month of Dhanistha kicks in, another fiery lunar mansion. So February is contained by these two rather intense lunar months: Purvashaddha, which the is the pinnacle of solar energy, and Dhanishta which is the pinnacle of martial energy. Purvashaddha (until February 16th) is a sign of activity, related to the “warrior class” of ancient India. The name means the “greater victory” or “later victory” and is connected to a group of beautiful and benefic entities called the Vishwadevas, the “pure deities”, each of whom represents certain virtues. The ethical virtues are in fact a great representation of this lunar mansion. Virtue requires activity, but usually at the sacrifice of your lower inclinations and worldly desires. It requires strength and courage to be selfless and virtuous, but this can’t just be in your heart, it has to be in actual activity. The zodiac sign that contains this lunar mansion is Capricorn, which is an intensely practical in a way that sometimes seems cold or harsh. The benefic energy of Purvashaddha really channels the best aspects of this practical energy from Capricorn and mingles it with the noble intents and purposes of the Sun (who rules Purvashaddha), making this a great combination of virtue, skill, and practical activity. This is not an “idealistic” sign, so it is better to set short-term goals (like weekly goals) and work hard towards achieving them while this asterism is in power, avoiding “big pictures” and long-term goals that are unrealistic right now. On the 16th of February, the next lunar month occurs in the lunar mansion of Dhanistha. This is another fiery sign that is ruled by a group of deities called the “Vasus”, who all represent certain powers in nature such as the winds, rains, oceans, Sun, etc. In this sense, it’s a very shamanic sign that encourages you to work with your own primal energies and harness them towards achieving your goals. This mansion is ruled by Mars and is seen as the apex of martial energy, but like the previous lunar month of Purvashaddha, Dhanishta occurs in a Saturn-ruled sign and thus takes on a more practical nature. On a spiritual level, this is a great time for doing healing work, sacred medicines, spiritual retreat, or any practice that encourages you to tap into your own latent energies and tear down barriers. On a material level, this asterism can help break down mental and personal barriers in the way of your goals. The deities (the “Vasus”) who preside over this asterism represent a mixture of natural forces and karmic powers, all of which “break things down”. Rain wears away at things, water is the great solvent, wind can slowly efface even the greatest monuments and mountains, fire consumes all things. Some of the other Vasus represent the Sun, the Moon, and the Pole Star, all of which are powers of destiny and karma in vedic astrology. Hence this asterism has a profound power to break down components of your ego while directing you towards your destiny. The nature of Mars is such that it can often bring something into your life quite quickly, so this asterism can bring about a sudden shift in your life that aligns you more with your fate. At the beginning of the month you’re still suffering from a combination that has been adversely affecting your work and property (especially property relating to your work! ), but by the 6th of February this combination finally breaks and relieves the tension in the night sky that just about everyone has been feeling. The break comes in the form of Venus leaving Capricorn and entering into Aquarius, which can open up new avenues of income for you. The relief comes in the form of a new business partner or a deal with someone new (preferably a woman), or help from a female relative. Things in business will open up much more once the Sun follows Venus on the 12th, which supports the income predicted by Venus. On the 14th the planet Mercury joins this combination and the result is a new business deal or contract is sealed soon, probably within just a few days. The 17th is a particularly good day for any business decisions because the Moon enters into a great aspect with Jupiter (the planet of wealth) and gives the stamp of approval on any new income or business arrangements. Throughout most of the month, until the 21st, you have three planets lined up in a row in the houses of love, health, and fortune/spirituality. Jupiter in the 7th house of love means expenses due to relationships, whether business or personal, but it also gives great support to the combinations mentioned above in the middle of the month. Mars in the 8th house of health, strong in its own sign of Scorpio, makes this month a great time to focus on improving your health. Mars also supports the Sun/Mercury/Venus combination strongly, imparting the initiative and drive necessary to achieve results in business. Saturn in the 9th house of fortune/spirituality is actually a combination for wealth that runs throughout the year, but any wealth Saturn gives is going to require a lot of hard work to get!! On the 24th, Jupiter will temporarily move to join Mars in Scorpio, a move that will probably cost you some money for health, but I think this is a positive and willing expense done to keep in shape and stay healthy. It could be a gym membership, or getting some acupuncture or supplements to help tune up the body and take care of any nagging health issues. Good dates: February 7th is good for relationships and business deals, and the 16th and 17th are especially good for concluding any new business contracts and deals. The 21st is a good day to take off and do something fun with a loved one. The 23rd forms a pretty intense aspect between Mars and the Moon, both very strong at this time, that can result in a big financial gain. It can also affect your health positively, and this would be a good time for any major health work to be done. Bad dates: The 1st-5th are difficult because the sarpa yoga (snake combination) is still constricting the chart. The 8th and 9th can cause arguments or problems with your mother. The 14th will be stressful for your job, but I think this is just because of new work indicated on the 16th and 17th. The 18th and 19th can cause expenses from work investments, property work, and health. Most of the tension caused by the sarpa yoga or “snake combination” over the last few months has been focused on friends, siblings, co-workers, bosses, and authority figures (3rd and 9th houses). But you break free of this combination by the 6th of February with a beautiful Venus transit into Aquarius that can open up your heart to new life callings and career choices in a big way. By the 14th of February, both the Sun and Mercury will also break free of the “snake combination” and join Venus in Aquarius. The Sun will illuminate some new career choices for you, or a new life path, depending on how much this snake combination had really affected your 9th house of belief and spirituality over the last few months. If things were hectic and you didn’t know what you were doing in life, then this is a much-needed relief. A lot of clarity will come from the Sun/Venus/Mercury combos taking place all month in Aquarius, so take advantage of it and do lots of brainstorming! For those Taurus ascendants who weren’t hit so badly on an existential level due to a strong 9th house in their natal chart, this combination will still open up some great new business opportunities for you, especially when Mercury joins the party on the 14th, and when the Moon hops into Aquarius too on the 17th you have a perfect storm of raja yogas (power combinations) taking place in the 10th house of career and destiny. If you have been considering a new job then this is the month to really make the initiative on that, and if you like the job you’re at, then this is the month to take on a big project and really try to elevate your position at work. Aquarius is a creative sign of idealism, so think big. Finances haven’t been easy with Jupiter in the 6th house of trial and hardships. This will ease up with the combinations mentioned above, but nothing in the 6th house gives results without having to make some serious efforts. There will be some financial changes that simply won’t happen unless you take the initiative, and I think this initiative will be easier when Jupiter temporarily moves into Scorpio on the 24th, forming a temporary combination with Mars that can give a lot of creative energy and ambition. Take advantage of this opportunity because Jupiter will later go retrograde and settle back into Libra in the 6th house in March (March 22nd to be exact). Good dates: The 15th, 16th, and 17th are all good for making career decisions. The 18th and 19th are good for income. The 26th is good for business deals. Bad dates: The 1st-6th are bad dates. Conflicts or problems with the mother on the 8th and 9th. The last few months have suffered from a “snake combination”, or sarpa yoga, that restricts the energy in the chart and obstructs certain areas of life. For you, this combination has likely influenced your health through stress, adrenal fatigue, and/or digestion problems. By the 6th of February this “snake combination” finally breaks when Venus gets free of its clutches and heads from Capricorn into Aquarius, relieving the tension in the sky considerably. Venus in Aquarius is an interesting placement for Gemini ascendants, who naturally have a kind of “love/hate” relationship with Venus. Gemini’s are more intellectual by nature whereas Venus is a very heart-driven planet. Its movement into the airy and idealistic sign of Aquarius will help open you up to new ideas about life. Depending on how sensitive your 9th house is in the natal chart, this could actually be a pretty existential event that makes you really think about your life path and beliefs. It is an excellent combination to pursue higher education, or at least to seriously consider and make plans for such an education. By the 14th of February, both the Sun and Mercury will join Venus in Aquarius, creating a lot of power due to the combination of the ascendant lord Mercury (who rules Gemini) entering into the auspicious 9th house alongside Venus and the Sun. This creates a series of “raja yogas”, which are combinations that create a lot of power, like electric generators in your natal chart. On a mundane level, you could buy a new vehicle, travel to see a spiritual teacher, seek higher education, or start picking up a new skill set, as well as traveling with friends and extended family. On a more personal level, these combinations help reshape your beliefs and orient you towards new directions in life. For most of the month Jupiter is in Libra giving a nice aspect to support the combinations mentioned above in the 9th house, and since Jupiter is the “karaka” (indicator) of education, it especially supports any choices about higher education or continuing education. Mars is strong in Scorpio, and this can give you abundant energy to break down barriers and overcome obstacles. It adds a lot of energy to the Sun/Venus/Mercury combination in Aquarius mentioned above, and since Mars actually has some financial implications for Gemini ascendants it will also help you make some money. On the 24th, Jupiter will hop over from Libra into Scorpio, and this can be a window of opportunity to improve your work situation or make some extra money, but it will require lots of work! The 6th house of Scorpio is a sign that will only give its fruit after plenty of labor has been done to deserve it. This will come in the form of doing odd jobs or random tasks for your boss or maternal grandparents, or could even be an internship that leads to something more fruitful later on. The Rahu/Ketu axis is still hitting health and wealth in your chart, but this has been considerably weakened for now, so take advantage of this opportunity and do the self-work necessary. Make extra money now so that you are prepared for a few more rough periods throughout the year. Good dates: The 6th and 7th are good for children and education, and can open up a new work opportunity as well, and are good days to spend with a loved one. The 15th, 16th, and 17th are all good days for education, self-work, therapy, family, and many other areas of life, so stay active. On the 20th a nice gajakesari yoga forms between the Moon and Jupiter, giving wealth and happiness, and a good time with your family. Bad Dates: The 8th and 9th suffer pretty intense “chandra-mangala yoga”, which can create obstacles and enemies, cause fights, and afflict the mother. On the 13th and 14th stress and anxiety can badly affect your health, so try to take it easy on these days and do something relaxing. The 27th and 28th are bad for digestion, so avoid eating out since food poisoning is possible. The sarpa or “snake” combination that has afflicted the sky over the last few months has been directed towards your personal life more than business or other matters. The combination interfered with relationships and directed a lot of energy towards self-discovery. On the 6th of February, this sarpa combination will be broken by Venus as she leaves Capricorn and enters into Aquarius. While it is nice that the sarpa yoga is broken, Venus and Cancer have a complicated relationship, and it doesn’t do much good sitting in Aquarius, a sign that for Cancer ascendants indicates sickness and loss. Finances are difficult with this transit, there could be health issues, and problems with a spouse. This difficult transit will be joined over the next few weeks by the Sun and Mercury, who likewise will not function well in this sign. Mercury, at least, has some classical indications for being in the 8th house (in this case in Aquarius) that can prove beneficial for people on the spiritual path, as Mercury in the 8th confers knowledge of the unseen world. When combined with Venus, this is a good combination for initiation and spiritual practice, but worldly things will take a hit. There are two saving graces with this combination: The aspect of Jupiter and the aspect of Mars. Jupiter gives a nice, benefic trine aspect on this mess that will ensure that so long as you conduct yourself well you will come out ok. The Mars aspect adds power to the combination, but Mars is a good planet for Cancer ascendants and creates a lot of strength where-ever it is placed and on whatever it aspects. In this case, Mars is in the 5th house creating some beautiful raja yogas (power combinations) that contribute to spiritual practice, personal education, and creativity, and this energy aspects the situation in Aquarius with a full (100%) aspect that should help avert any serious issues. However, I would still advise that no serious driving is done, as the difficult placements of Venus can give way to car accidents. On February 6th there is a nice gajakesari yoga, which I call “happy people combination” happening in Libra at the same time that Venus breaks free of the sarpa yoga. I think this ensures that the time after the sarpa yoga begins on a good note, and hopefully, this energy will carry on and continue to influence your life. Gajakesari yoga (Jupiter and Moon in quadrants from each other) is a great combination for learning, nobility, and honesty. Good dates: 6th and 7th are good, inspirational days for writing, companionship, and enjoyment. The 8th and 9th are also good for education and self-discipline and can improve health and strength. 18th and 19th are auspicious days for various activities. On the 21st a nice Gajakesari yoga gets formed again that can open up job opportunities and give some financial support The 22nd and 23rd are good for launching new projects or endeavors. Bad Dates: The 10th, 11th, and 12th may be difficult or lonely days that require a lot of hard work. The 13th and 14th are bad for relationships and may feel exhausting or stressful. The 16th and 17th can cause a flare up of heath issues, but this could actually be due to healing taking place (from the auspicious aspects of Mars and Jupiter). Leo has handled the sarpa yoga (snake combination) that has plagued the sky for the last few months better than most of the other zodiac signs, even if it costs some money or a relocation. The 6th house of enemies is weakened by Ketu and can encourage spiritual practice and service, while the 12th house of debts and loss is enhanced by Rahu and can trigger financial hardships but also moving to new places. The sarpa yoga broke on the 6th of February with Venus moving into Aquarius, the 7th house of relationships for Leo. Venus, the planet of love, in the 7th house of relationships has some obvious implications and can promote a new relationship, or enhance an already existing one. Since Venus has some career and financial indications for Leo ascendants, its transit into the 7th house can also indicate new business and even a new business partner. The business aspects of this transit will probably wait for the Sun and Mercury to join Venus starting on the 14th of the month. This is a big combination for Leo. Venus, the Sun, and Mercury, all of whom are auspicious and benevolent planets for you, will enter into Aquarius and cause a series of “raja yogas” or “royal combinations” that exalt status and success, improve finances, and add a lot of energy to the astrological chart. Mercury is THE planet of finances for Leo, and its combination with the ascendant lord Sun and the 10th lord Venus (who rules career) produces a series of “dhana yogas” or “wealth combinations” that should open up doors for anyone in business. If you are not at a place in life where there are opportunities for these things to manifest, such as college students who aren’t working yet, then it will likely funnel its energy towards relationships and romance. But if you’re looking for a job then this is the best range of time, from the 14th of February until about the 2nd week of March, to be putting in applications. The Moon’s transit on the 15th, 16th, and 17th through Aquarius will help activate these transits even more, so these are ideal days for job interviews or business negotiations. Jupiter adds its own auspicious aspect to this combination from Libra, where it has a trine on Aquarius and supports the activities of the planets there. Most of the month will have Jupiter in the 3rd house of Libra, a placement that encourages writing and authorship, as well as discipleship. It not only supports the work being done in Aquarius, but also receives favorable aspects from those planets as well, making this a good time for “writing” job applications and resumes. On the 24th Jupiter will move for a few weeks into Scorpio to join an already strong and auspicious Mars, creating whats called a Guru Mangala Yoga that adds a lot of creative energy into the chart, where it will now throw this energy into Aquarius and support the business and work being done there mentioned above. The difference for Jupiter is that before the 24th Jupiter’s aspect on Aquarius is very strong in a trine and gives a lot of support, making the work in Aquarius easily accomplished, whereas after the 24th when it joins Mars, Mars has the dominant aspect from Kendra (90 degrees) and indicates the easy part is over, now its time for hard work (but with lots of rewards). Saturn is in Sagittarius in a constellation called “Purva Shaddha”, the “greater victory”. Saturn’s transits are very long and its effects will be felt throughout the year, with subtle changes in which constellation or lunar mansion it is in within Sagittarius. For Leo, Sagittarius is a house of learning and creativity, and the constellation of Purva Shaddha gives the energy necessary to learn traditional sciences and skills, as well as engage in self-restraint and discipline. Saturn’s placement here all year allows a great deal of self-work to be done, and a lot of progress can be made while it sits in Purva Shaddha. Good Days: The Gajakesari yoga formed by Jupiter and the Moon on the 6th and 7th is good for creativity and writing, as well as encouraging good company. The 15th-17th are good for just about anything. The 21st is a great day to work with a superior or teacher and is good for most activities. Bad Days: The 11th is a bad day for most activities, the 13th is a bad day to hand in paperwork or contracts, 18th will be stressful and is a good day to relax and avoid difficult tasks, the 25th is likewise a stressful day that you should avoid any serious tasks on. The Sarpa (snake) combination that has been afflicting the sky for the last few months will finally be broken on the 6th by Venus. This sarpa combination has stifled creativity, obstructed education, and potentially even negatively affected your children, employees, or students. Venus breaking through this combination to enter into Aquarius is a complex thing for Virgos, who will benefit immensely from the breaking of the sarpa yoga, but will also have a different set of problems with Venus in Aquarius, followed soon after the Sun and Mercury also entering into Aquarius. These planets are all likely to cause some problems in this sign. Aquarius indicates hard work, servitude, and fighting. Venus’ placement indicates problems with finances and some fighting with a “significant other”. Mercury and the Sun can indicate losses from the government (taxes, fees, violations, tickets, etc). The cure is the auspicious aspect of Jupiter from Libra that helps subdue some of these issues, which means to steer free of these problems you need to act with the respect, courtesy, and nobility that Jupiter represents, and be a good law-abiding citizen. It’s a good month to drive exactly the speed limit because you’re going to be that person who gets pulled over for going 5mph over the limit while everyone else was going 10 over. Play it safe and behave and you should get through the month just fine if you throw in some additional acts of service for your spouse. For most of the month Jupiter is going to be in Libra, where it was for much of 2017. This brings blessings to finances and family, so the saving aspect of this Jupiter on the mess mentioned above helps considerably. My only concern about Jupiter is the constellation of Vishaka (the end of Libra) is that Vishakha can be prone to indulgence, and Libra represents appetite and sustenance for Virgos, so there is a tendency to over-indulge in food and drink, which can cause health issues (issues that will flare up more in April if you have been indulging too much). This is one of the negative traits of Jupiter, because its a large and expansive planet, so it can make US “large and expansive” too! Exercise self-restraint and all should be well. On the 24th, Jupiter will enter into Scorpio for about a month, and this is an excellent time to pick up new skills, especially those related to writing (Jupiter) or exercise (Mars), since the planet will be joining Mars in Scorpio. Saturn has been sitting in Sagittarius for the last year and will continue to do so throughout this year. Saturn is a planet of hard lessons for most people, and it is no different for Virgos right now. Sagittarius is a sign that influences your house, happiness, immediate environment, and mother. For those more spiritually inclined, Saturn’s placement here can teach you how to be happy by yourself without having to depend on others, and can even lead to spiritual retreats and a great deal of self-work. For people who are more materially focused, this can be a difficult planet as it causes loneliness, house issues, and depression when placed in the 4th house of Sagittarius. My advice is to turn alone time into something beneficial by taking a nice trip somewhere (in March…not February), doing some camping, reading a good book, etc. Check your foundations and strengthen them. Good Days: the 6th is good for most activities, the 18th-22nd are good. Bad Days: the 8th and 9th are bad for health, women, and can cause problems with your mother. The 11th and 12th are inauspicious, up until pretty much the 18th or so. Don’t worry, next month is much better! This sign will benefit immensely from the Kala Sarpa Yoga (Time-Serpent combination) coming to an end on February 6th, after a few months of psychological turmoil about life, happiness, and career. The combination breaks when Venus becomes the first planet to finally break free of the Rahu/Ketu chokehold on the 6th, soon to be followed by the Sun and Mercury on the 14th. Venus is the ascendant lord of Libra, so it’s freedom from this combination as it enters into the auspicious 5th house of Aquarius is a big deal, as it will liberate the energy of the whole chart and life will begin picking up the pace again (in a good way). When Venus is in Aquarius it creates something called a Raja Yoga, meaning “royal combination”, and this raja yoga adds a lot of power and blessings to anything you try to do. It is especially good in regards to health, energy, education, and creativity, and if you have children or employees it bodes well for them too. The power of this combination increases when the Sun and Mercury join the mix on the 14th, improving finances and happiness. This is also a good combination for traveling and promotions. Add to all of this the blessings of Jupiter sitting in your ascendant aspecting Aquarius with a nice trine (120 degree angle) to support it all, and this becomes a serious window of opportunity to make some major shifts and improvements. This doesn’t mean that the self-work of Ketu in Capricorn has come to an end because Ketu is still in Capricorn and will continue to be for much of the year, but it means this self-work is no longer binding the rest of the chart down. Jupiter is in Libra, another indicator of hard work, in the constellation of Vishakh. This month Jupiter will experience both the Libra side of Vishakh and the Scorpio side since the constellation takes up the end of Libra and the beginning of Scorpio. Vishakh is a goal-oriented constellation meant to encourage activity and planning. While Jupiter is in the Libra side of this constellation it has encouraged a lot of formative work with career, such as career-planning, coaching, etc. On the 24th Jupiter will enter into Scorpio and experience the more fiery, action-oriented side of this constellation, which I think most Libras will handle. When Jupiter enters Scorpio it will be joining Mars, the lord of Scorpio, and this will promote creativity and give you a lot of energy to accomplish your goals. The combination of Jupiter and Mars both in Scorpio will also cast a great aspect on the Sun/Venus/Mercury combo in Aquarius, giving that great combination the energy it needs to achieve success. The strong Mars will also encourage physical health, good digestion, and as lord of the 7th in the 2nd house can open up a new business opportunity. Saturn continues its long occupation in Sagittarius in the lunar mansion of Purva-Ashaddha, which means the “upper victory” or “greater victory”. Saturn influences Libras by occupation and aspect in the 3rd house of skills/siblings, the 6th house of enemies and service, the 9th house of ideals and religion, and the 12th house of investments, debts, and losses. Now for Libras this planet has an uncharacteristically positive influence on most things and often operates as a benefic instead of a malefic. Its aspect on the 3rd is good for new skills and having courage, its aspect on the 6th means this is a time of long-term work where you need to work on the “self”, its aspect on the 9th house confirms the self-work, and its aspect on the 12th can cause some money issues in the form of debts (for the sake of self-work and coaching). Good Days: the 6th and 7th are good for business work, and the 8th and 9th are good for taking action but there could also be problems with your mother. The 15th-17th are great for just about anything. 21st is good for socializing and meeting people. The 24th and 25th are good for meditation and taking it easy. Bad Days: 11th is not a great day for accomplishing things, and the 13th and 14th are likely to be stressful. 22nd and 23th afflict the mother. Scorpios are getting a great deal of support this month from their ascendant lord Mars, who is also sitting in Scorpio. This is great for any kind of athletic or sports endeavors as it strengthens the body, and any time the ascendant lord is sitting in the ascendant it redirects its energies towards self-growth and development. The sarpa yoga (snake combination) that has been afflicting the sky for the last few months has been affecting Scorpios in the axis of the 3rd and 9th houses. This axis (comprising the signs Capricorn and Cancer) deals with co-workers, siblings, friends, authority figures, bosses, skills, and religious beliefs, so all of these areas of life have been afflicted by the sarpa yoga. This combination finally breaks on the 6th with the transit of Venus out of the chokehold of Rahu and Ketu as it moves away into Aquarius. The sarpa yoga being broken is good news in that it will allow you to reap the benefits of some of the good transits occurring right now, like Mars in your ascendant, soon to be joined by Jupiter as well. But Scorpios won’t see some of the drastic improvement other signs will this month because even though the sarpa yoga is over, the transits that immediately follow aren’t all that great for you. Venus is a troublesome planet for Scorpios, and while it is at least happy to be in Aquarius (so it won’t cause as much trouble) it is still an agitating presence for the mind, encouraging a total lack of discipline as Venus fans the flames of your lower desires and appetites. On the 14th the Sun and Mercury will join Venus in Aquarius, which should encourage some of Venus’ positive traits to rise to the surface and hopefully discipline some of the laxity it has been causing. 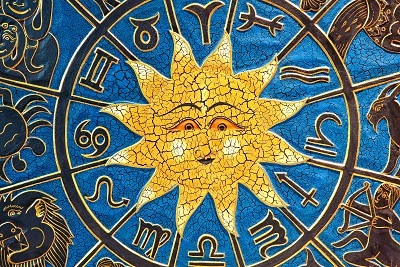 The Sun is connected with career and work for Scorpios, while Mercury was financial indications. The transit of both of these planets to join Venus will cause some mixed situations. Venus can be a great planet for business partners and associates for you, but it can also cause financial losses. 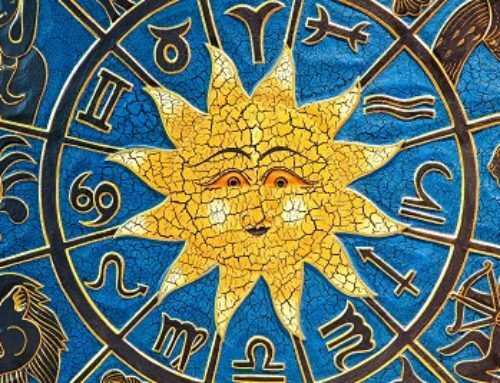 Because of some of the positive aspects on this Venus/Sun/Mercury combination, I think it is a good opportunity to invest, since this is a temporary loss of money for the sake of a larger gain, later on, a situation that I find likely with this combination. In a different scenario, Venus in the 4th house of Aquarius can also cause you to move into a new house or work environment, any move that is work-related. Jupiter has been sitting in Libra for a good bit of 2017 and will continue to sit there until February 24th, at which point it will move into your ascendant. Now Jupiter in the 12th is difficult for finances because it causes you to take on big debts or lose money on investments. When it moves into your ascendant Scorpio on the 24th it will gain a much more benefic influence on your finances, on top of combining with the energy of Mars already in your ascendant to give you the creative energy necessary to change your financial situation or make some different investments that come through for you. Saturn remains in Sagittarius, as it will throughout the year. Sagittarius is an important sign of finances for Scorpios, and Saturn’s position here combined with Jupiter in Libra for much of the last year has been a difficult combination for finances. In fact, you may have had almost no income at all at several points this last year. The financial situation will improve a little now that Mars and Jupiter will both be adding strength to your ascendant, giving you the ability to make the necessary changes, but you still need to exercise discipline in your daily life and make sure you eat well. When Jupiter is in the 2nd house like it is for you now it often leads to eating low-quality food or too little food. Try your best to eat wholesome, nourishing food so that you don’t get the digestive complaints associated with this combination. Good Days: 8th and 9th are auspicious for beginning new endeavors, 15th-17th will give mixed results: good for work and finances but bad for relationships and home. 22nd and 23rd are good for beginning new relationships or business relations. Bad Days: The 6th and 7th could trigger financial losses, 10th-12th are bad for beginning anything important, 27th and 28th are not good for important activities. The Kala Sarpa Yoga (Time Serpent Combination) that has been restricting the planets in the sky over the last few months will end on the 6th of February, and each ascendant is experiencing this differently. for Sagittarius, the areas of life that were hit the hardest were family, wealth, and health, possibly causing the loss of a loved one. When this combination “breaks” on the 6th of February, it will be because Venus finally broke free of Rahu and Ketu’s chokehold and jumped over into Aquarius. It will be followed about a week later by the Sun and Mercury also leaving Capricorn behind to join Venus. Aquarius is a difficult sign for Sagittarius though, so it won’t all be sunshine and flowers after the 6th. What WILL happen is that the rest of the planets will finally be able to activate, which hasn’t been the case for the last few months. So even though the transit that immediately follows will come with some difficulty (Sun/Venus/Mercury in Aquarius), other benefic aspects in the sky will also come into play as well. First, let’s take a look at the Sun/Venus/Mercury transit in Aquarius to better understand what blessings it can bring and what hardships it’s likely to bring as well. Venus is a pretty serious malefic for Sagittarius because it rules the 6th and 12th houses of struggle and loss, and carries those energies with it into whatever sign it enters. On the 6th it enters into Aquarius, which is your third house of friendship, skills, and growth. This house is generally seen as a house where growth occurs through struggle, and Venus certainly brings some struggle with it. There will likely be tension with another co-worker or problems with a close friend/cousin, or problems with your sister. This isn’t the best time to sign any contracts either, especially for a new vehicle. The worse part of this will last from the 6th until the 14th. On the 14th the Sun and Mercury will join Venus, and these are both very friendly planets for Sagittarius that should bring out more positive sides to Venus. In this case, you may find yourself working for the government or your father, or getting a new job that involves vehicles. Any job offer brought to you by a friend or cousin after the 14th should be seriously considered. Jupiter has been in Libra for some time now, which isn’t strong enough on its own to open up new financial opportunities, but if other transits strengthen it you can do pretty well. There is an opportunity for investment in real estate that could be beneficial towards the end of the month until about the end of March. The movement of Jupiter from Libra into Scorpio on the 24th could also encourage international flight, in which case you benefit from spending money. This flight could be for military training or personal education, but could also be due to a child (all possible indications of Jupiter and Mars both being in Scorpio for you). If a real-estate opportunity does present itself, wait until Jupiter joins Mars on the 24th for blessings in the investment. Saturn has been sitting on your ascendant for about two years and will continue to do so throughout 2018. However, it has benefited from a subtle shift in position out of the constellation of Mula (beginning of Sagittarius) into the constellation of Purva Ashaddha (middle of Sagittarius). Purva Ashaddha is a lunar mansion of victory and perseverance that has great significance for people on the spiritual path or anyone engaged in serious self-work, since Saturn is sitting on the “self” in Sagittarius. This being said, it’s still a difficult placement that stifles your energy and makes life stagnant. The best way to use this energy is to focus more on self-work this year instead of huge life goals. This is a good year for planning and laying the foundations for the next 6 years, where Saturn will actually be giving plenty of blessings in your life as it moves from Sagittarius into Capricorn and Aquarius. Good Days: 9th is good for investments or travel, 15-17th can open up lots of new opportunities, so its good to be active. 20th and 21st are good for education. 28th is good for most endeavors. Bad Days: 6th and 7th may cause you to lose some money, 11th is bad for health, 25th can be stressful and hard to get things done, 27th is bad for health. Capricorn and Cancer have been the signs hit the most intensely by the Kala Sarpa Yoga (Time Serpent Combination) that has afflicted and restricted the sky for the last few months, and Capricorn probably got the worse of the two as its side weakens the ascendant, which can cause health issues and weaken your activities so that its hard to accomplish anything. But unlike Cancer, Capricorn ascendants will actually see a big improvement when the Kala Sarpa Yoga breaks. Capricorn loves Venus, and when Venus breaks free of Rahu and Ketu on the 6th it enters into Aquarius, a sign that Venus functions very well in because it gives some control and practicality to Venus’ inspirations and desires. Aquarius is a sign that rules over family and net wealth, and from traditional perspectives is seen to be the foundation and sustenance of Capricorn. Venus energizing Aquarius (from the 6th onwards throughout the month) will give you much more creative energy and strength, and even physically rejuvenate the body and give you more energy to accomplish your goals. It can also open up new financial opportunities for you through career and education. On the 14th it gets joined by the Sun and Mercury, which is a little more problematic as the Sun will disrupt some of this harmony due to issues with your father or government. Mercury is more auspicious than the Sun, so between Mercury and Venus, I think the overall astrological influence will still be quite good. Venus and Mercury together can give you new financial ideas and open up financial opportunities with relatives or friends. Jupiter has been sitting in Libra, your 10th house of career, for a good bit of 2017 and up until the 24th of this month. Jupiter is a difficult planet for Capricorn, and it certainly isn’t that happy with being in Libra. Though it does increase income, it also incurs debts and can cause some investments to not turn our as well as you hoped. It looks much better when it enters into the friendly sign of Scorpio at the end of the month and gets energized by the powerful Mars there. This is a great combination for investments, real estate, and just overall should help improve finances. It can also lead to international travel (12th lord conjunct the 4th lord). This window will last for about a month, so take advantage of it if there are any big financial decisions to be made soon. Your ascendant lord Saturn has been sitting in the 12th house for quite a long time and will continue to do so. It has hitherto spent most of its time in Mula, which is a difficult constellation at the beginning of Sagittarius that can cause obstructions and stress in your life. On the 16th it leaves Mula and enters into the constellation of Purvashaddha, a much better constellation that represents victory and accomplishment. Investments and international travel will work in your favor more readily under the influence of this constellation, especially while its lord Venus is so well placed in the sky for the next few months. Rahu and Ketu, the shadow planets who deal out karmic blows to us, will still be in your ascendant/7th house axis, which is difficult. You need to make certain you take care of yourself and attend to your health since a lot of activity will be going on in the next few months and you are likely to sacrifice your own well being for the sake of work or a higher cause. God Days: 7th is good for finances and business opportunities, 8th and 9th are good for finances, 15th-17th are good for most things, 21st is auspicious for relationships and business, 23rd good for finances, 26th is good to spend time with significant other. Bad Days: 10th-12th aren’t good for most ventures, 14th is stressful for self and relationships. The Kala Sarpa Yoga (Time Serpent Combination) that has been restricting the sky for the last few months has actually had a sometimes positive effect on Aquarius ascendants since it weakens the two malefic houses of Capricorn and Cancer, the places of loss and enemies for Aquarius ascendants. The problem with the kala sarpa yoga is that it restricts the other planets but giving the blessings that they can, so when the sarpa yoga breaks on the 6th of February you will continue to get some of the good side effects of Ketu in the 12th house and Rahu in the 6th, while also benefiting from the other good planets in the chart. On the 6th of February Venus will break the sarpa yoga by entering into Aquarius, your ascendant. This creates a series of raja yogas (royal combinations) that can exalt your status and give you success. Raja yogas add a lot of energy to a chart, and when they occur in the ascendant it is especially good since they energize you and support your activities. This particular raja yoga caused by Venus gives good luck, helps with education, improves your living situation, and makes you happier. On the 14th the Sun and Mercury will join Venus in your ascendant, which can bring blessings to your life and for people practicing the spiritual path it can also open you up to initiation. The Sun is the lord of the 7th house of relationships and its presence in the ascendant means you should focus more on yourself this month instead of spending too much energy on relationships. Mercury as lord of the 5th house of learning, children, and creativity creates a dhana yoga (wealth combination) when it enters Aquarius, a situation that can improve our finances. Saturn has been in Sagittarius for all of 2017 and will continue to be there throughout 2018. This does actually form another Dhana yoga (that’s three so far!) as the ascendant lord being in the 11th house of income. But…..Saturn just isn’t a very wealthy planet, and it makes you work hard for what little finances it gives, usually in the form of lower-income positions and service jobs. This was especially the case while it occupied the constellation Mula at the beginning of Sagittarius, but on the 16th it will leave the malefic constellation of Mula for the much more auspicious constellation of Purva Ashaddha in the middle of Sagittarius. This is a much better placement! Purva Ashaddha means the “upper victory” and is associated with success and overcoming obstacles. One of the classical deities of this lunar mansion is Ganesh, the Hindu elephant god who removes all obstacles. Thus income should begin improving, and probably a better job placement as well. Good Days: 7th is good for visiting teachers or grandparents, and also good for income. 8th and 9th are great for work decisions. 15th-17th are good for most things. 22nd and 23rd are auspicious. Bad Days: 11th and 12th can be stressful, don’t make any big decisions on the 14th, don’t start anything on the 26th or 27th. For the last few months, the sky has been restricted by a Kala Sarpa Yoga (Time Serpent Combination) that has locked up the planetary energies in the sky. For Pisces this Kala Sarpa Yoga obstructed finances and creativity the most and could have also caused problems for your children or employees. On the 6th of February Venus will finally break through Rahu and Ketu into Aquarius, causing the Kala Sarpa Yoga to fall apart. While this is a good thing because it opens up the energies in the rest of your chart, it is a little bittersweet because the combinations that follow can be troublesome for Pisces. Venus is a malefic planet for Pisces, and when it enters into Aquarius it can cause illness as well as financial loss from vehicle expenses. The Sun is also a mild malefic, and it enters into Aquarius to join Venus on the 14th with Mercury in tow. This is a difficult combination for finances, relationships, and travel. There are two saving graces in this combination: 1) The trine aspect of Jupiter from Libra, which helps suppress the malefic nature of the planets in Aquarius, and 2) the kendra aspect from Mars in Scorpio, which also helps protect finances. It’s possible that you will have expenses that end up being good things because of these aspects, such as buying a new car or purchasing land. Even if this is the case, it’s still not a comfortable combination, so expect the month to be a little hectic and safeguard your finances the best you can. For much of the last year Jupiter has been in Libra, which is another troublesome combination as it leads to health issues, especially those related to the Liver, or complications from alcohol. On the 24th it will leave Libra or about a month and enter into a great combination in the 9th house of Scorpio, which is already really charged because of Mars being there. When Jupiter joins Mars in Scorpio this is a great time to make serious changes in your life, finances, and health. Start a new routine, and take advantage of the creative energy that this special “Guru Mangala Yoga” will give you. Saturn has been sitting in the 10th house, which is troublesome unless you work with foreign companies or are working in a foreign country yourself. Saturn is not very happy in Sagittarius, and as lord of the 12th house sitting in the 10th it obstructs your career, making it stagnant at best or losing your job at worse. Now the good news is that the worse of this placement is over this month, as Saturn will slowly move from the constellation Mula at the beginning of Sagittarius into the constellation Purva Ashaddha in the middle of Sagittarius. This is at least a little better since its former placement in Mula can be quite harsh. Purva Ashaddha means the “upper victory” and is connected to the deity Ganesha, the Hindu elephant-headed deity who destroys obstacles. This could allow the winds to shift and help you find a new job, or at least break down some stagnation at a current job. If you get the chance to do some overseas work, especially for the poor, you should take it. Good Days: 8th and 9th are great for starting something new and making financial changes, 15-17th is hard to predict, so don’t make any big decisions but accept anything good that comes your way, especially if it deals with relationships or a house. 18th and 19th are good, as are the 20th and 21st 22nd and 23rd are good for beginning something new or going on an important travel. Bad Days: 6th and 7th may trigger some health issues or stress, 11th and 12th can be stressful and upsetting, so do something relaxing and fun. 14th can cause financial stress.